Find a Medicare plan that fits your lifestyle. A free Benafica Medicare consultant will help you understand and choose a Medicare plan. Attend a FREE educational Medicare workshop and pick up your Medicare Playbook to guide you to the right coverage. Call 651.259.9000 and speak with a licensed advisor or RSVP below to join us at one a upcoming Medicare Monday. Medicare Mondays are open to the public and are educational events only. No sales activity will be conducted. Light refreshments provided. Benafica is here to help you understand and make the most out of your Medicare options. Did you know that nearly 60 million people are on Medicare and 10,000 more join each day? As you approach age 65, or if you are getting ready to retire, you may start thinking about your Medicare options. It can be challenging to know where to start when reviewing Medicare. Perhaps you have already been asking around to see what plans your friends or neighbors have enrolled in. We understand everyone’s situation is unique and that needs can change over time. Scoring the right plan now and in the future is essential to your Medicare journey. 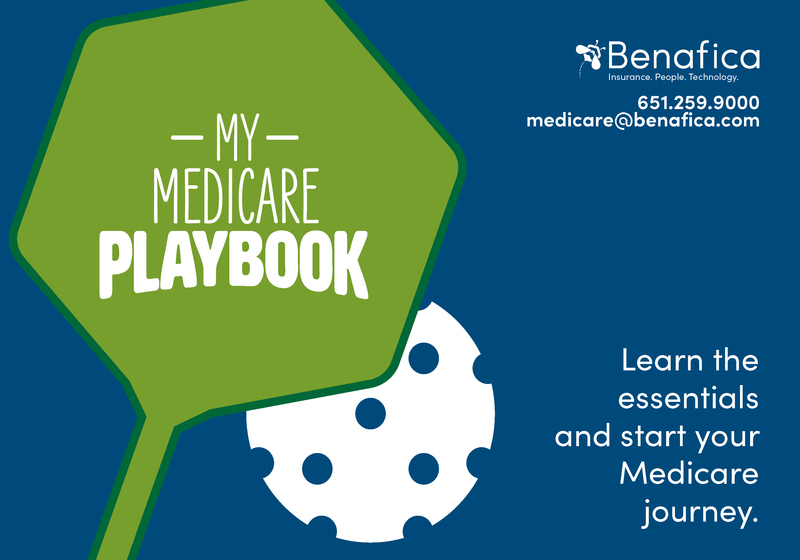 This playbook is designed to provide a quick overview of Medicare. We hope that it will be a useful resource for you in understanding the different options for Medicare, and empower you to ask questions and make the right decisions when you are ready to enroll in Medicare. Let’s jump right in and talk about your Medicare game plan. Medicare is a national health insurance program created for Americans over the age of 65. It was signed into law in 1965. Originally, Medicare consisted of two components, Part A (Hospital) and Part B (Doctor), thus today Medicare coverage that includes Part A and Part B is referred to as “Original Medicare”. Original Medicare comes with out-of-pocket costs, and no cap on what you could pay. Generally traditional Medicare was designed to cover 80% of total healthcare costs. These out-of-pocket costs drove private insurance companies to begin offering Medicare Supplements, also known as Medigap. Medigap plans help cover expenses not covered by Original Medicare. Medicare Part C, also known as Medicare Advantage, was added in 1997. Medicare Advantage plans combine A and B into a single plan administered by private insurance companies. The fourth part of Medicare, Part D, was added in 2006 to cover the rising costs of prescription drugs. The next few pages offers a more in depth explanation of the different parts of Medicare. Original Medicare is made up of Parts A and B, and is managed by the Centers for Medicare and Medicaid Services (CMS). Medicare Part A is often called ‘hospital insurance’ because it pays for your care while you are in the hospital. It also covers certain expenses if you stay in a skilled nursing facility or receive hospice care. Everyone sees a doctor or requires health screenings and lab tests at some point, which is why Medicare Part B is so important. Medicare Part B pays for your doctor visits, outpatient services, and in certain circumstances home health care. Medicare Supplements were created by private insurance companies to pay for some or all of the costs not covered by Original Medicare. They were designed to fill the ‘gaps,’ which is how it earned its nickname, Medigap. With a Medigap plan, you keep your Original Medicare coverage and add a supplemental plan to cover your deductibles, co-payments and liability for the 20% cost sharing with Original Medicare. Since you are retaining Original Medicare, you may go to any hospital, doctor or specialist in the country that accepts Medicare. Medicare Supplements are Guaranteed Issue (GI) for the first six months after you sign up for Medicare Part B. This means you are guaranteed to be offered a plan regardless of your health status. There may be additional circumstances where you can sign up for a Medigap without underwriting, called Special Enrollment Periods. Contact your advisor to find out more. Prescription drug costs have escalated since the start of Medicare. Adding drug coverage, whether alongside Original Medicare, a Medigap plan, a Medicare Cost Plan, or bundled with a Medicare Advantage plan is an important decision. Medicare Part D plans differ in premiums, deductibles, cost sharing, preferred pharmacies and formularies. All formularies must include at least two drugs from each class, meaning you should always have options with every plan. Many people sign up for a lower premium Part D plan even if they are in good health to prevent a permanent late enrollment penalty. Annual review October 15 – December 7; changes go into effect January 1. Medicare Advantage plans are offered through private insurance companies and replaces Original Medicare coverage. Medicare Advantage plans typically include Prescription Drug coverage as well as additional benefits such as dental, vision, hearing, wellness programs, and gym memberships. Medicare Advantage plans offer a wide choice of premiums, networks, and benefits. When considering a Medicare Advantage plan, it’s important to remember that a lower premium may mean your share of the costs will be higher. In addition to providing the same benefits as Original Medicare, Medicare Advantage plans must also cap your annual out-of-pocket costs. A hybrid plan featuring both Medicare Part A from the federal government and Medicare Part B from a private insurance carrier. Cost Plans are only available in limited areas of the country in select counties. Check with your advisor to see if you are eligible. Thank you for your service. Let your advisor know about your situation and discuss your options. You may have health or Part D coverage from your former employer. You may find it helpful to talk with your advisor about how this coverage integrates with your Medicare options. Medicare does not provide coverage outside the United States. Check with your advisor to see if your Medigap or Medicare Advantage plan covers international travel. Now that you have a better understanding of what Medicare is, you may wonder if you should enroll. Simply stated, you should enroll in Medicare if you are over the age of 65 and no longer have access to an employer-sponsored health insurance plan. However, if you plan to keep working, you may be able to delay your enrollment or enroll in partial Medicare coverage without penalty. During the months before you turn 65, it will be beneficial to discuss and compare your options with your insurance advisor or your employer’s Human Resources division. Learning how Medicare works with your current employer insurance can help you decide if you want to sign up for Medicare when you become eligible. Does your company have 20 or more employees? This will impact whether Medicare will be your primary or secondary payor. Is your employer’s prescription drug coverage creditable? Your employer’s prescription drug coverage needs to be as good or better than coverage through Medicare Part D. Your employer should provide confirmation in writing. If it is not, you could be faced with penalties. When enrolling in Medicare, you will want to be confident that your coverage goes into effect seamlessly. Follow the steps below for a smooth enrollment. Are you receiving Social Security Income? If you are receiving Social Security Income, the government automatically enrolls you in Original Medicare and sends your Medicare card during the months before you turn 65. If you are not receiving Social Security Income, you must actively enroll in Medicare. 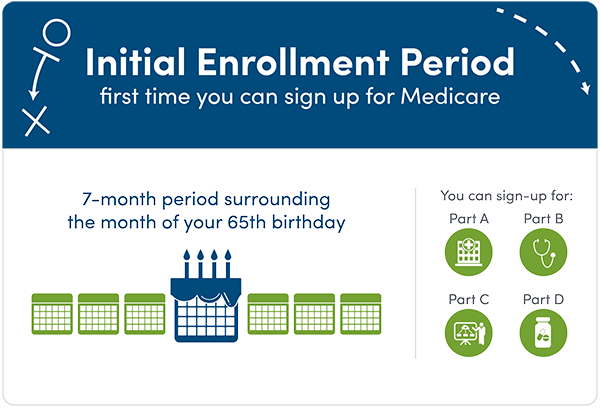 Your initial enrollment period is a seven month window around your 65th birthday; it starts three months before and ends three months after the month you turn 65 (see Initial Enrollment Period diagram on the page 14). Note that you may face late enrollment penalties if you do not enroll when you are first eligible for Medicare. You may face late enrollment penalties if you do not enroll for Medicare when you are first eligible. When you are first eligible for Medicare, you have a seven-month period to sign up. You can enroll three months before your birth month, the month of your birth, and three months after. The annual period when you can make changes to your Medicare plan. During AEP you can pick a new Part D, Medicare Advantage or switch back to Original Medicare. AEP is from October 15 to December 7 every year and any changes take effect on January 1. The Medicare enrollment process does offer some flexibility and trial periods. Below are three additional enrollment periods that may be exercised if needed. If you signed up for a Medicare Advantage plan during AEP you have a period when you can review your decision. OEP is between January 1 and March 31 each year. There are instances where you can “test drive” a new plan for 12 months, while still having the option of returning to your previous plan. These are called Trial Rights Periods. One instance of a Trial Rights Period allows beneficiaries who enrolled in a Medicare Advantage plan when first eligible to revert back to Original Medicare, with a Medicare Supplement, Guaranteed Issue. Another allows a beneficiary to revert back to his/her Medicare Supplement plan after having enrolled in a Medicare Advantage plan, however, note that this option can only be used once during each beneficiary’s lifetime. A time outside the yearly Open Enrollment Periods when you can sign or make changes to your Medicare coverage. You may qualify for a Special Enrollment Period if you’ve had certain life events, such as moving home, retiring, or are losing coverage. Suitability is the key to a successful strategy. There you have it. You’ve learned about the basics of Medicare. But there’s still one more critical element that we haven’t discussed yet, and that’s you. Which type of coverage is most suitable for you? 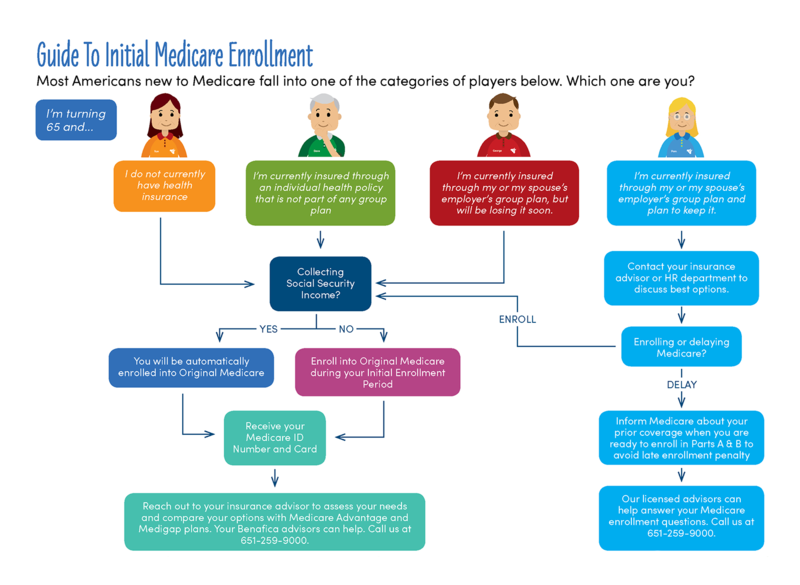 Once you are enrolled in Original Medicare, you will need to decide which game strategy is the best option for you. Two important considerations to make are assessing your budget and your health. How much can you afford to pay per month for premiums? How often do you think you’ll require medical care? The worksheet on the following page contains helpful questions to help you start thinking out your coverage strategy. The questions are similar to those that your advisor may ask you when you are ready to enroll. Suitability, meaning what is right for you is the key to a successful coverage strategy. And don’t forget that you have the option to make changes to your Medicare plan every year, adjusting coverage as your lifestyle changes. There are plans tailored for every phase of your life. Beneficiary: An individual who is entitled to benefits from Medicare or a health insurance plan. Claim: A request for payment submitted to Medicare or your health insurance plan for the provision of eligible health insurance services. Center for Medicare and Medicaid Services (CMS): Federal agency that administers the Medicare program and works in partnership with state governments to administer Medicaid, the Children’s Health Insurance Program (CHIP), and health insurance portability standards. Coinsurance: Generally your health insurance pays a higher and you a lower percentage of your claims. Co-payment: You pay a fixed amount e.g. towards a doctor, specialist, emergency, urgent care, hospital stay or prescription. Cost Sharing: A principle whereby you are responsible for a certain proportion of your medical bills. Co payments, coinsurance and deductibles are examples of cost sharing. Generally your responsibility for Cost Sharing is capped by your plans maximum out-of-pocket limit. Deductible: The amount you pay before your health insurance will pay claims. Formulary: A list of medications covered by insurance such as Prescription Drug or Medicare Advantage plan. Guaranteed Issue (GI): A situation where a policy is offered to any eligible applicant without regard to health status. Aging into Medicare, moving and the withdrawal of plans from the market are just some GI situations. Late Enrollment Penalty: May apply for late enrollment into Medicare Part B or Part D. Late enrollment penalties apply for as long as you have Medicare and increase the longer you delay enrollment. Max Out-of-Pocket: The most you will pay during a policy period. After you reach your maximum your plan pays 100% of covered services. Medicaid: A joint federal and state program that helps with medical costs for people with limited income and resources. Medicaid programs vary from state to state, but most health care costs are covered if you qualify for both Medicare and Medicaid. Medicare Cost Plan: A hybrid plan featuring both Medicare Part A from the federal government and Medicare Part B from a private insurance carrier. Cost Plans are only available in limited areas of the country in select counties. Original Medicare: Original Medicare is made up of Parts A and B, and is managed by the Center for Medicare and Medicaid Services (CMS). Portability: The extent you can use or keep your plan when traveling or moving in the country. With a Medigap plan you can keep your plan wherever you travel or move as long the provider accepts Medicare. Medicare Advantage plans have a network, you must check if a provider is in your plan’s network. Premium: The amount you pay to Medicare or your insurance company for Medicare coverage. Premiums may be monthly or periodically. Provider Network: A list of doctors, hospitals, specialist and other health care providers that has a contract to provide health care with a health insurance plan such as a Medicare Advantage plan. Scope of Appointment Form: Before you discuss Medicare with an advisor, they will ask you to complete a Scope of Appointment Form (SOA.) The SOA is a government requirement that identifies which health insurance products you wish to discuss; this is a consumer protection. Social Security Income: The foundation of economic security for millions of Americans—retirees, disabled persons, and families of retired, disabled or deceased workers. About 169 million Americans pay Social Security taxes and 61 million collect monthly benefits. About one family in four receives income from Social Security. 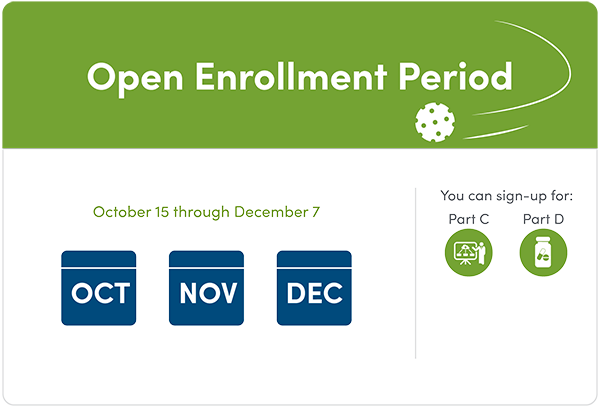 Special Enrollment Periods: A time outside the yearly Open Enrollment Periods when you can sign or make changes to your Medicare. Underwriting: An evaluation of your medical history in order to set premiums or decide eligibility for coverage. Certain Medicare and health insurance coverage may have underwriting requirements outside of Guaranteed Issue periods. Will I have Medicare coverage during international travel? Medicare does not provide health insurance coverage outside of the United States. Some Supplements and Medicare Advantage Plans may have limited coverage for emergencies worldwide. We recommend speaking to your advisor about a Travel Medical Plan to ensure your medical and repatriation needs are covered abroad. Will I have Medicare coverage during domestic travels? Whether a snowbird or just traveling, you need to discuss portability with your advisor. Some Medicare Advantage plans have broad and some narrow networks. Medicare Supplements will provide coverage across the country but always check to see if a provider accepts Medicare. How does Social Security benefits impact my Medicare coverage? If you are receiving Social Security, you will automatically be enrolled into Medicare. If not receiving Social Security, you will have to actively enroll in Medicare Parts A & B to receive your Medicare benefits. Because you signed up for Medicare does not mean you have to begin your Social Security retirement benefits; however, if you do sign up for retiree benefits your can have your Part B premiums automatically deducted. How am I impacted if I am over 65 and am still on my employer’s health insurance plan? If your employer offers health insurance, speak to your HR and/or advisor to discuss how Medicare impacts you. By remaining on your employer plan you may be able to delay enrolling in Medicare. Medicare increases have been stable for many years. Whether you sign up for a Medigap, Medicare Advantage or a Part D plan you must continue to pay your Part B premium. How do I qualify for extra help/Medicaid? www.Medicare.gov offers many helpful resources for you to learn more. Choosing the right plan is essential, and having a great coach will ensure you have a winning strategy for your Medicare journey. 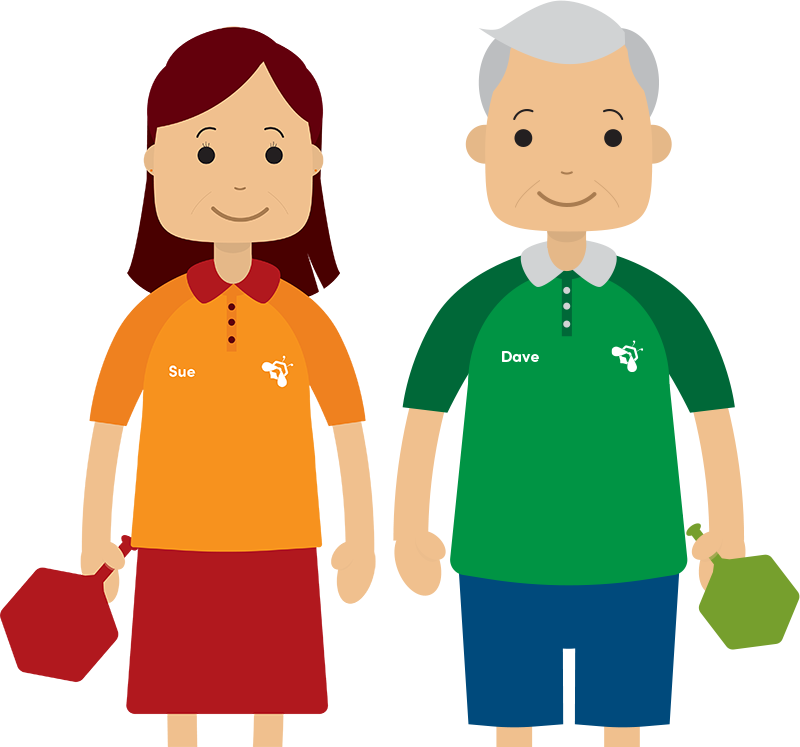 Taking time to talk through your options with an advisor is all part of our free service. When meeting with your advisor, the checklist below will help you go in prepared. Bring a list of your preferred providers, including your primary care physician, specialists, dentist and hospitals. Signing up for a plan is only the beginning, having a coach to answer questions and review your game plan each year is essential. Creating a relationship with a professional advisor will make for a better Medicare experience. Before meeting with an advisor, it might also be helpful to attend an educational event about Medicare. Many of the questions you have may be answered at these events. Learn more about our free education Medicare events above. With strong roots in Minnesota and Wisconsin, Benafica is dedicated to supporting thousands of clients across the Midwest in navigating their health insurance needs. Our licensed health advisors are ready to help you navigate Medicare. We look forward to being your Medicare coach.